Freddie Highmore’s newest film may not have sparked a great deal of buzz or made a notable splash at the box office, but curiously that seems to fit the young star’s mode of operation. The 25-year-old English actor stars in Almost Friends, a romantic drama that opened in limited release last week. Though Highmore has earned critical praise for his performance as an unmotivated twenty-something struggling to find inspiration in life, the film slipped quietly and unassumingly into a handful of theaters during a weekend dominated by discussion of the highly-anticipated superhero flick Justice League. Highmore’s performance in the film seems to be just the latest in a career composed of underappreciated yet undeniably strong character work. Strangely, in a relatively short span of time, Highmore seems to have succeeded at establishing himself as not only a skilled and gifted actor, but also a talented writer, director and producer, all while flying comfortably under Hollywood’s radar. 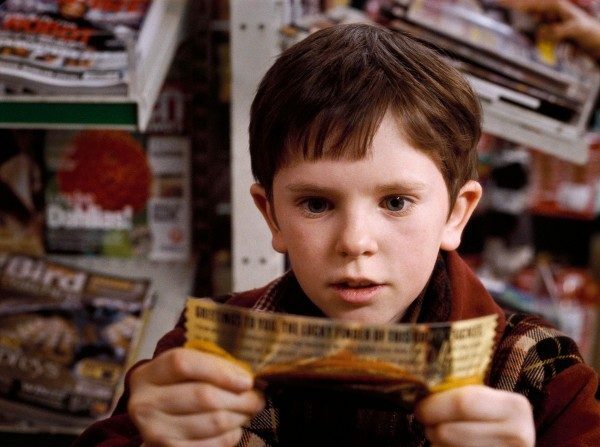 Highmore began his career as a child star. After making his feature debut in the British dramedy Women Talking Dirty and landing roles in a handful of film and television projects, Highmore gave a breakthrough performance in 2004’s Finding Neverland, playing Peter Llewelyn Davies, the boy who served as playwright J.M. Barrie’s inspiration for the character Peter Pan. The 12-year-old Highmore earned several accolades for his sensitive, wise-beyond-his-years performance, including a Critics’ Choice Movie Award and a Screen Actors Guild Award. This role also impressed costar Johnny Depp, who recommended Highmore for the lead role of Charlie in Tim Burton’s adaptation of the Roald Dahl fantasy novel Charlie and the Chocolate Factory. Curiously, having never seen the original 1971 film adaptation of the novel, Highmore avoided viewing it before beginning work on Burton’s version so as to prevent his performance from being influenced. His work in this film earned the young actor another Critics’ Choice Movie Award and further established his familiarity among American viewers. It also initiated Highmore’s pattern of choosing mainly fantasy projects, or roles with fantastical, family-oriented elements. After playing a younger version of Russell Crowe’s character in Ridley Scott’s A Good Year, Highmore continued his work in the fantasy genre, playing the lead in the French adventure film Arthur and the Invisibles and its two sequels. The trilogy failed to impress American audiences, but performed well enough elsewhere. The third Arthur film had Highmore voicing an animated version of his character, a performance style to which he was somewhat accustomed after having previously lent his voice to a handful of video games. He gained further experience in voice acting with 2007’s The Golden Compass, a fantasy tale based on a popular book series that was intended to launch a franchise, but stumbled at the box office due to a watered-down storyline. This experience would unfortunately prove to be emblematic of Highmore’s early career. While critics rarely found fault with his performances, he seemed to have an unfortunate habit of choosing projects that failed to resonate with audiences. Also in 2007, Highmore played the title role of a musical prodigy in August Rush, opposite another major star, Robin Williams. While Highmore and the rest of the cast were praised, along with the film’s score, the sentimental plot was criticized and it failed to wow moviegoers. The movie did, however, task Highmore with playing a gifted prodigy and social outcast, a character type that he would revisit later in his career. In 2008, Highmore made his last effort at headlining a major live-action fantasy film with The Spiderwick Chronicles, a movie that spun the plots of five novels from a popular book series into one story. This film was fairly well-received critically, but it didn’t prove popular enough to spawn any sequels, despite its wealth of source material. Highmore again stretched his acting abilities in the movie, playing the dual role of twins Jared and Simon Grace. Critics applauded his ability to convincingly portray two wholly distinct individuals, and the fact that both characters were reacting to the recent divorce of their parents added an additional emotional layer to Highmore’s performances. He had become adept at dealing with this type of inner conflict, having previously portrayed children with absent parental figures in movies like Finding Neverland and August Rush. Yet as with The Golden Compass, The Spiderwick Chronicles failed to cement itself as a significant and memorable fantasy adventure, likely overshadowed by the massively successful Harry Potter film franchise, which in 2008 was arguably at the height of its popularity. Over the next couple of years, Highmore mainly stuck to voice work in children’s animated films. But by 2011, he had begun to experiment with slightly more mature, young adult roles in movies like The Art of Getting By. Unfortunately, none of these films succeeded critically or financially. At this point, perhaps acknowledging the failure of many of his recent projects, Highmore made a decidedly un-actor-ish decision. Hoping to broaden his life experience, he began attending Emmanuel College, Cambridge and eventually earned a language degree in Arabic and Spanish. Perhaps this gave the young star just the breathing room he needed to clear his head and reassess his career, because it was at this time that he left child-focused films firmly in his past and began to truly make a name for himself as an adult performer. 2012 was a landmark year for Highmore. He was cast in the lead role of iconic cinematic serial killer Norman Bates in the A&E drama series Bates Motel, a prequel to Alfred Hitchcock’s horror classic Psycho (itself based on a 1959 Robert Bloch novel). The project marked a dramatic shift from all of Highmore’s previous work, featuring a notably darker and more disturbing character than any he had played before. Though in hindsight, the role may not have been quite so sharp of a turn for Highmore. In a way, Norman Bates offered the actor a chance to combine all of the skills he had developed in earlier performances. Like many previous Highmore characters, Bates constantly struggles with the absence of parental figures in his life. The series begins shortly after the death of his father, and eventually covers the death of his mother, played by Vera Farmiga. Bates also develops a split personality, frequently assuming the guise and mannerisms of his mother as he loses his grip on reality. Highmore’s experience playing a closely connected pair of twins in The Spiderwick Chronicles likely served as useful preparation for this aspect of his Bates Motel performance. Lastly, the show has Highmore sharing the screen with another powerhouse performer, Vera Farmiga. He manages to hold his own against the seasoned actress, and the two share remarkable chemistry as a disturbingly close mother and son. After starring in films alongside heavyweights like Johnny Depp and Robin Williams, it makes sense that Highmore would be able to naturally play off an experienced actress like Farmiga. The two reportedly bonded on set to the extent that Farmiga later chose Highmore to be her son’s godfather. Their chemistry greatly benefitted the series, which earned notable critical praise in its debut season for the mesmerizing performances of its main cast. But Highmore was not yet prepared to dive headfirst back into acting. While completing work on the first season of Bates Motel in 2013, he decided to spend a year abroad, living in Spain and working at a law firm. In interviews, Highmore has said that his decision to travel and work a “normal” job was motivated by his desire to broaden his understanding of the world and make use of his Spanish degree. Eager to immerse himself in the local culture, Highmore lived in an apartment situated above a bar, and would frequently spend time socializing with locals downstairs while watching Spanish football games. He even invented a fake story about his grandmother being Spanish in order to justify his support of Spanish teams. When asked about his job at the law firm, Highmore has said that he might be open to pursuing a career in law one day if he ever wants to move on from acting. His comments in recent years have consistently displayed a refusal to make a lifelong commitment to entertainment as his sole career. He exudes a sense of general curiosity about the world and a hunger to learn as much as he can about life, both to inform his acting and to satisfy his own diverse interests. But considering how well-received his recent work has been, Highmore wouldn’t be unwise to see just how far he can go in the entertainment industry. The critical and fan response to Bates Motel became increasingly positive as the series progressed into its second, third, fourth and fifth seasons, the last of which brought in Rihanna as Psycho protagonist Marion Crane. The later seasons of the show also provided Highmore with an opportunity to expand beyond acting and explore other aspects of the production process. He wrote two episodes, one in the fourth season and another in the fifth, and directed a fifth season entry. Writing, acting and directing on a major primetime TV series represent quite an accomplishment for a 25-year-old, but Highmore wasn’t content to stop there. In August of 2014, while working on Bates Motel, the actor found the time to write and sell a comedy pilot script to NBC, while also executive producing the episode alongside Bates Motel showrunner Kerry Ehrin. Though the project was not picked up to series, Highmore appreciated the experience and would ultimately venture into producing again. Meanwhile, the actor’s intense, psychologically complex performance as Norman Bates continued to deepen as Bates Motel reached its conclusion. By the end, Norman has almost completely surrendered to his “Mother” personality, an evolution that required Highmore to wear a dress and wig while carefully imitating Farmiga’s voice and mannerisms. The result was remarkably chilling. 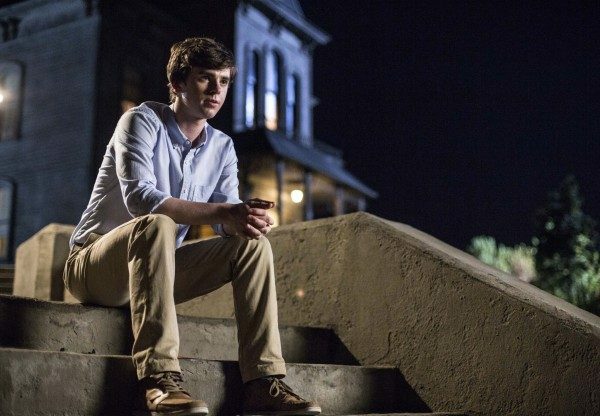 Understandably, by the time the series finale of Bates Motel aired in April of this year, Highmore had broadened his American fan base significantly. This may partially account for the almost immediate success of his follow-up project. 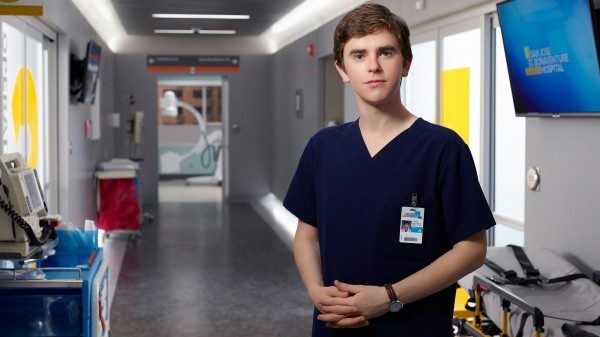 A mere three days after completing the final episode of Bates Motel, Highmore set to work on the ABC drama series The Good Doctor, on which he serves as both star and producer. 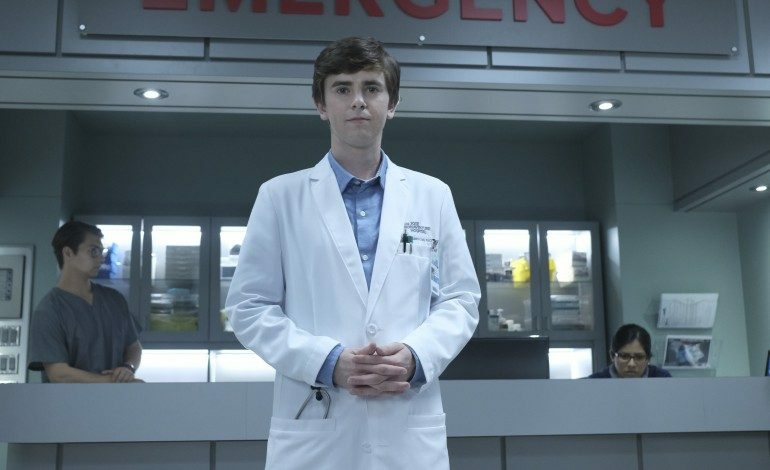 In this show, Highmore takes on another complex character, portraying Shaun Murphy, a gifted surgeon with autism and savant syndrome. The series follows Shaun’s journey from a quiet life in Wyoming to a fast-paced career at San Jose’s St. Bonaventure Hospital, where many staff members question whether his autism will inhibit his ability to succeed as a surgeon. 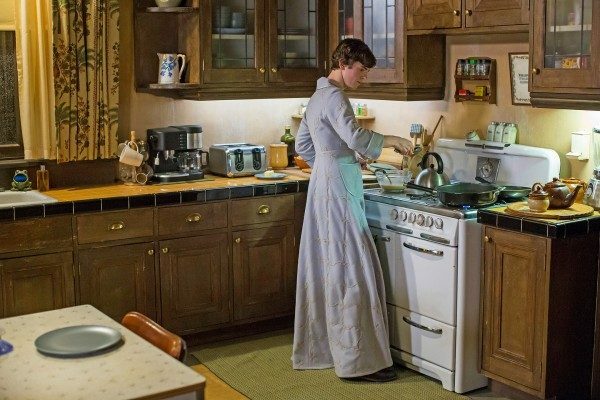 Highmore spent significant time discussing the role with showrunner David Shore in order to ensure that he would be presenting a faithful and respectful portrayal of an individual on the autism spectrum, and his careful preparation was clearly not wasted. Though the show has mostly failed to impress critics, who complain about its similarity to other medical dramas and its seemingly on-the-nose premise, individuals on websites such as Autism Speaks have applauded Highmore’s genuine and believable portrayal of an autistic individual. The show has resonated with an astonishingly wide audience: Its premiere became ABC’s most-watched drama pilot in 21 years, and ratings for another episode in October beat out the viewership of primetime kings NCIS and The Big Bang Theory. As the show continues, Highmore will undoubtedly only grow more popular. 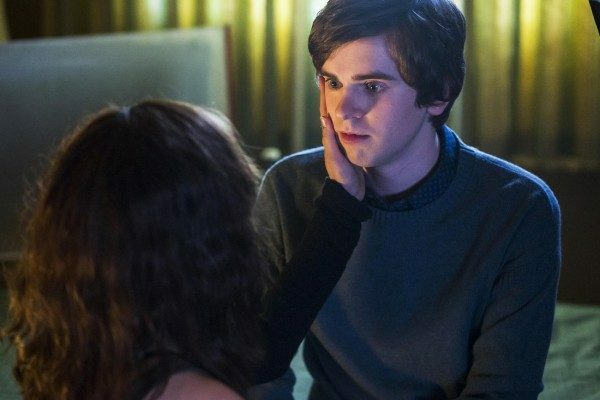 Some are already claiming that his performance deserves an Emmy nomination, an honor that many of Highmore’s fans previously argued he should have earned for his work on Bates Motel. In a way, though, Highmore’s lack of Emmy nominations seems to match the low profile he has preferred to maintain over the course of his career. Despite the consistency of his work in entertainment, Highmore still lives in London rather than Hollywood. He believes that this helps to keep him grounded. While Highmore has a couple of film roles on the horizon, along with the just-released Almost Friends, it seems that television remains his primary focus for now. His working relationship with Bates Motel’s Kerry Ehrin remains strong. The two have reportedly co-written and will executive produce the pilot for another A&E drama called Baby Face, in which Highmore will star as famed bank robber Baby Face Nelson. Highmore will also be executive producing Ehrin’s NBC drama pilot Long Distance. It would seem that a 25-year-old rapidly evolving into an acting/writing/directing/producing powerhouse would be turning more heads in Hollywood, but perhaps the industry recognizes Highmore’s rise as a slow, years-long progression rather than merely an overnight success story sparked by Bates Motel. Highmore himself knows better than anyone that just because his evolution from promising child star to multi-talented entertainer may not have taken place entirely in the spotlight doesn’t mean it hasn’t required a great deal of hard work and many years of thoughtful consideration and quiet dedication.